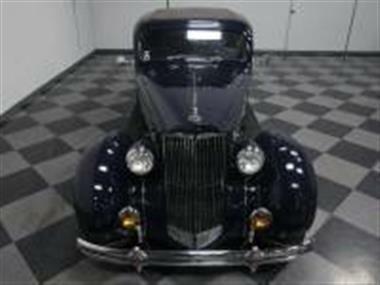 1937 Packard Other in Lithia Springs, GA for sale. To survive the Great Depressionand#44; independent automaker Packard had to diversifyand#44; and that meant selling more cars to more people. Henceand#44; the 120. 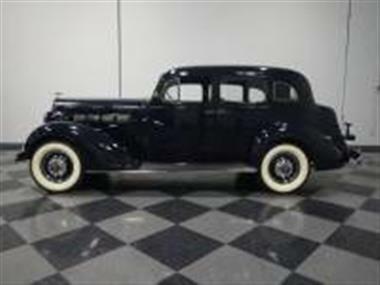 With all the quality and precision of a senior carand#44; the 120 offers Packard style and performance at a Buick price. 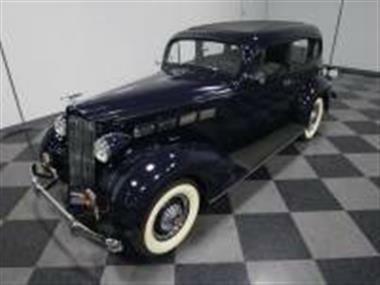 And this very nicely finished 1937 Packard 120 touring sedan proves just how good these cars really were.<br /> <br /> Theres no mistaking the Packard lookand#44; and it was no mistake that the 120 looked a lot like its big brothers. 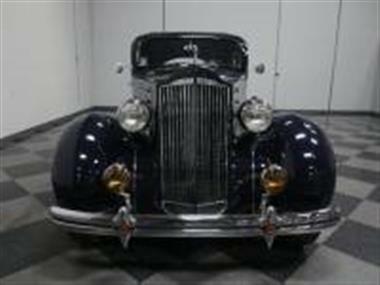 The grille is a Packard trademark dating back to the early teens and got a sleeker look in 1937. Its worth noting that the lovely Packard Blue paint on this car is pretty faithful to the originaland#44; and not only does it have a wonderful soft gloss todayand#44; but its condition is indicative of the quality that went into each Packard that was builtand#44; even the affordable ones! The doors close with that solid thunk that only ancient original cars seem to offerand#44; and while there are some signs of wear since the restoration was completed in the 1980sand#44; there are more signs of the love and attention this car received in the years since. Its also equipoped with accessory fog lampsand#44; a lady with donut hood ornamentand#44; and running boardsand#44; which all contribute to the 1930s vibe. Nice chromeand#44; lovely bumpersand#44; and that dominating grille make for a very attractive package.<br /> <br /> The beautiful gray cloth interior is every bit as nice as the exterior. Sureand#44; there are some very minor signs of age and useand#44; but thats only proof that this car is a great driver. Bench seats were all that you got in 1937and#44; but the front is intimate for twoand#44; with space for three in back where nobodys going to complain about legroom. The 120 was simpler than the big carsand#44; but no less beautifully craftedand#44; and it shows in details like the door panels and hardwareand#44; as well as the beautiful instrumentsand#44; which have fantastic 1930s art-deco styling. 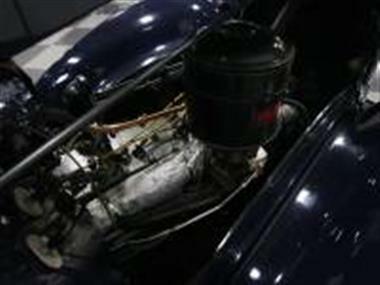 The big steering wheel and light effort make the 120 one of the more nimble cars of the period and synchromesh was standard equipment by thenand#44; so the 3-speed manual transmission shifts easily without any grinding. 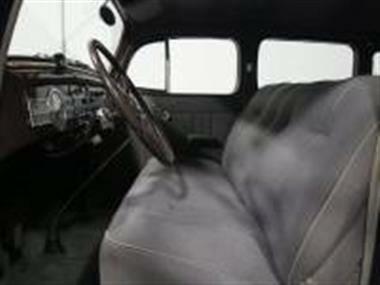 Both the heater/defroster unit and the AM radio were options in 1937and#44; and while the radio isnt working its a fantastic addition to this cars pedigree. Even the trunk is in good orderand#44; offering plenty of space plus a full-sized spare tire and jack assembly.<br /> <br /> The 120 was a great car simply because it offered Packard 8-cylinder power in a smaller package. Enthusiasts in the know will argue that the 120 is perhaps the best-driving Packard of the eraand#44; simply due to its all-new independent front suspension and superior brakesand#44; not to mention a great power-to-weight ratio. The 282 cubic inch straight-8 purrs along with nary a vibration to be feltand#44; and it shows extremely well when you open the hood. Theres a replacement exhaust system with a pleasant 8-cylinder burble and youll be pleased to note that the starterand#44; generatorand#44; and water pump have all been rebuilt so its ready to tour. Theres a correct high-compression head on topand#44; new plug wires that have the right cloth coveringand#44; and it cruises comfortably at 60 MPH. The chassis is extremely cleanand#44; suggesting a frame-off restorationand#44; and it sits on flashy wide whites that really dress it up.<br /> <br /> These are simply wonderful cars and I know its clichéand#44; but the old ad still rings true: Ask the man who owns one. 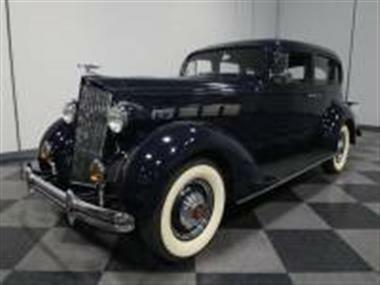 I guarantee hell tell you this Packard is a great carand#44; regardless of price. Call today!